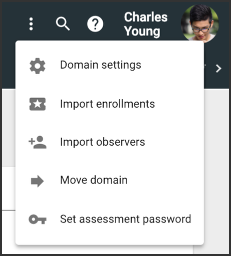 By default, the ability for students to change their email information is disabled, but Admins can easily change this setting. 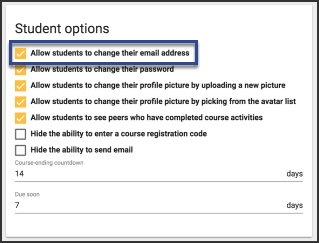 Check the Allow students to change their email address box on the Student options card. How do I add and manage domain users?